It looks like director Apoorva Lakhia is not willing to take any chances with his upcoming film Haseena Parkar. The filmmaker announced on social media that he is pushing his film, which was to release on August 18, but didn't share a confirmed date of release. He then deleted the tweet that he posted - however, sources close to the film confirm issues with the date. This is the fourth time Shraddha Kapoor's new film is being rescheduled. Earlier, Haseena Parkar was slated to release on July 14 but it was postponed to avoid a clash with Jagga Jasoos, starring Ranbir Kapoor and Katrina Kaif. The new date it booked for itself was July 28 but again, it was already a crowded Friday. 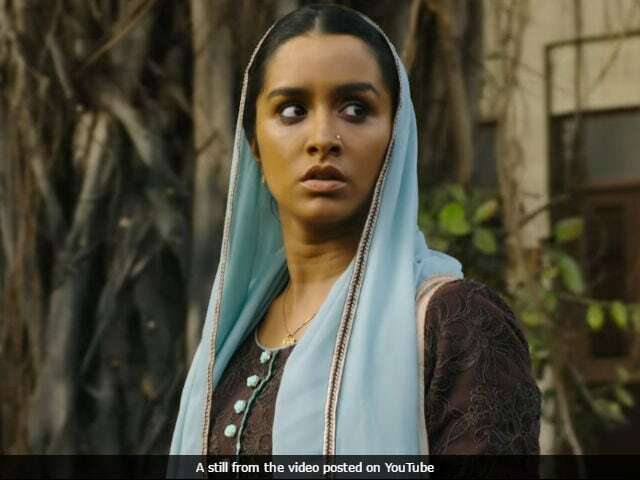 The makers of Haseena Parkar thought it may not be worth clashing with Anees Bazmee's Mubarakan, Madhur Bhandarkar's Indu Sarkar and Tigmanshu Dhulia's Raag Desh. That's when the film was scheduled for an August 18 release. Sources say that the reason is the buzz that Shah Rukh Khan and Anushka Sharma's Jab Harry Met Sejal and Akshay Kumar's Toilet - Ek Prem Katha have generated. Matching their standards of publicity and marketing is tough. Both the superstars, Akshay and Shah Rukh, are going all out to push their films in all possible markets. On Sunday night, Shah Rukh Khan returned from Dubai and headed straight to Varanasi to interact with his fans. Akshay Kumar, who is riding on Prime Minister Modi's Swachh Bharat Abhiyaan, met with Brihanmumbai Municipal Corporation or BMC's clean-up marshals in Mumbai last week. A source in the Haseena Parkar production house confirmed this and said that Apoorva Lakhia doesn't see any point in getting into the current clutter of releases. It will be suicidal as the producers of Toilet - Ek Prem Katha, which releases on August 11, are likely to get a tax exemption, which will play a vital role in ticket sales. Competing with these two films, Jab Harry Met Sejal and Toilet - Ek Prem Katha, is not only tough but almost impossible, said the source. Haseena Parkar has been in the news since the casting process. Earlier, Sonakshi Sinha was to play the lead. After she declined, Shraddha Kapoor came on board. The film is based on the life of gangster Dawood Ibrahim's sister Haseena Parkar. Shraddha Kapoor's brother Siddhanth plays Dawood in the film.